In July of 1848, the fight for women's right to vote in the United States began with a bang. 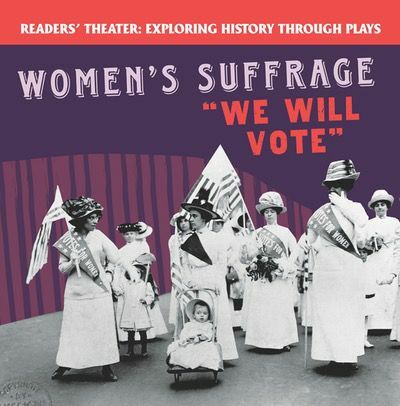 In this innovative play, readers will be transported to the birth of this crucial movement, the Seneca Falls convention. The play features a cast of important historical figures, including Lucretia Mott, Elizabeth Cady Stanton, Jane Hunt, Martha Wright, Mary Ann M'Clintock, and Frederick Douglass. Historical photographs illustrate the true story of these early feminists. Stage directions, costume and prop notes, and character descriptions guide readers through the performance with ease. Readers will experience this important moment in United States history firsthand with this lively play.